Late Show host Stephen Colbert savaged Attorney General Jeff Sessions’ newly announced “Religious Liberty Task Force” meant to ensure far right Christians have a license to discriminate against LGBT people and women. 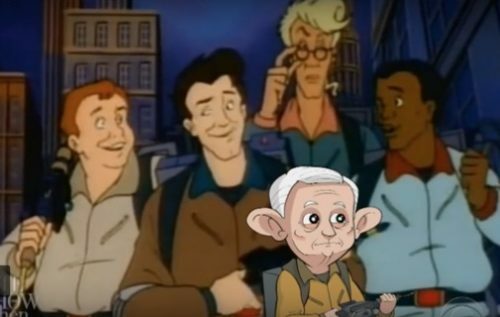 Comparing Sessions’ new attempt to curtail civil rights to the Ghostbusters franchise, Colbert points out that Sessions and his co-horts vicious attacks are motivated by fear. “We have gotten to the point where courts have held that morality cannot be a basis for law; where ministers are fearful to affirm, as they understand it, holy writ from the pulpit; and where one group can actively target religious groups by labeling them a ‘hate group’ on the basis of their sincerely held religious beliefs,” Sessions said while announcing the task force. Within hours, Senate Majority Leader Mitch McConnell appointed Tony Perkins, leader of the anti-LGBTQ hate group Family Research Council to the task force.